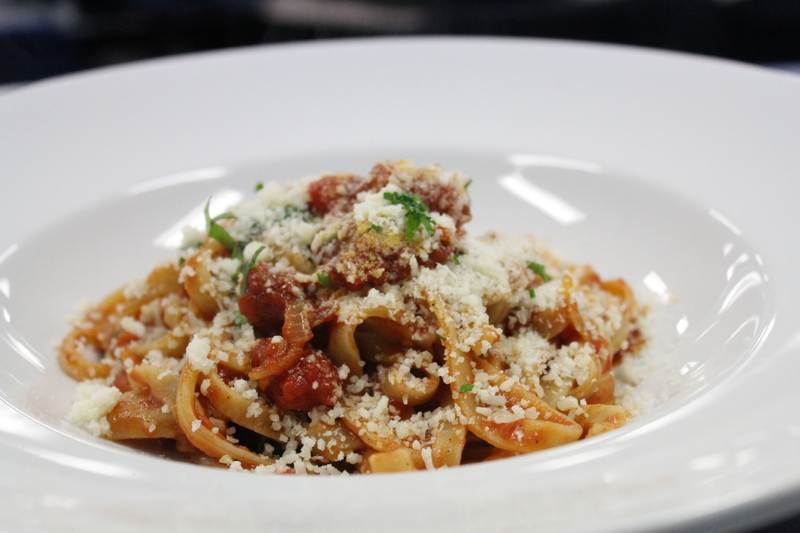 There is nothing quiet as fulfilling as a plate of fresh homemade pasta. 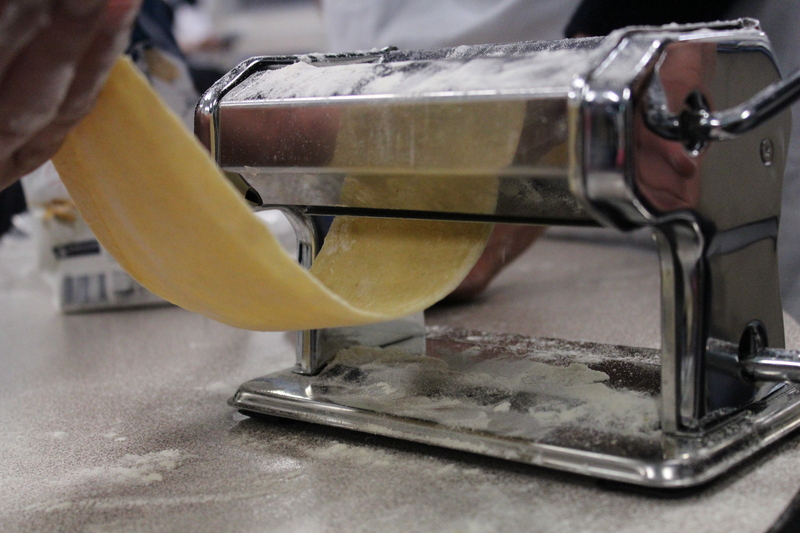 How does homemade pasta differ to store bought pasta? 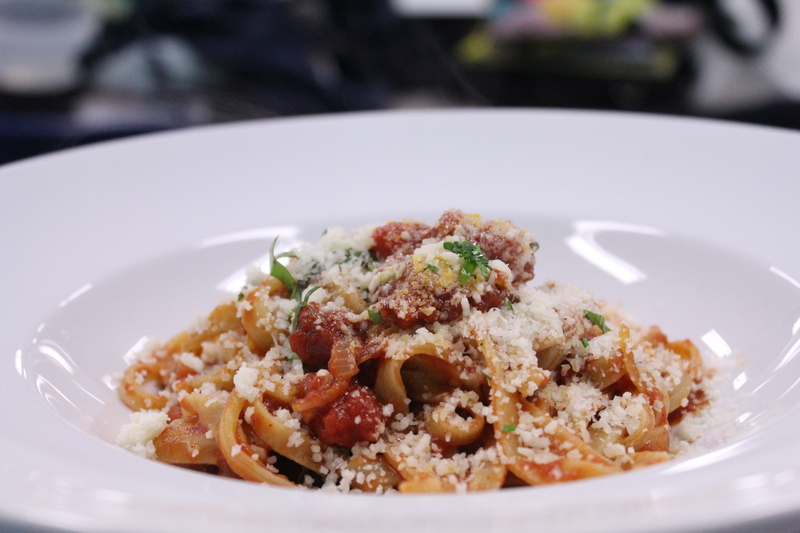 Homemade pasta is made from flour, eggs, oil and salt, crafted to the shape and thickness to match the sauce. Whereas store bought pasta is flour and water pushed through moulds. However, dried egg pasta can now be purchased for selected delicatessens. Fresh pasta cooks in just a few minutes, store bought pasta takes longer to cook. When you serve a plate of fresh pasta, the focal point of the dish is the fresh pasta, and you will be the envy of all your guests. You can get really creative with fresh pasta, by adding different herbs for a variety of flavours and colours. Why use ‘00’ flour? 00 flour is milled to be finer, resulting in a more delicate end product and a little higher in gluten. If you do not have any ‘00’ flour you can use ordinary plain flour. Fresh pasta can be made in a food processor if you have a dough attachment or in your stand mixer using the dough hook attachment. Rolling pasta maybe a challenge on your own if you are using a manual or electric pasta machine, working with the kids or friends is easier and much more fun. Machines are available for a relatively low cost in most homeware/department stores. 15gms finely chopped mixed fresh herbs. Organize workspace, get equipment ready. Combine the flour and salt in a bowl, make a well in the middle, and add the eggs and the olive oil. Mix the flour with the egg mixture and work into a dough. Knead well until very smooth and elastic. Or Get your food processor/mixer ready with a dough hook, place the flour, salt, eggs, olive oil, pulse until the dough becomes a smooth ball. Wrap in plastic and set aside to rest at least 45minutes before rolling out. 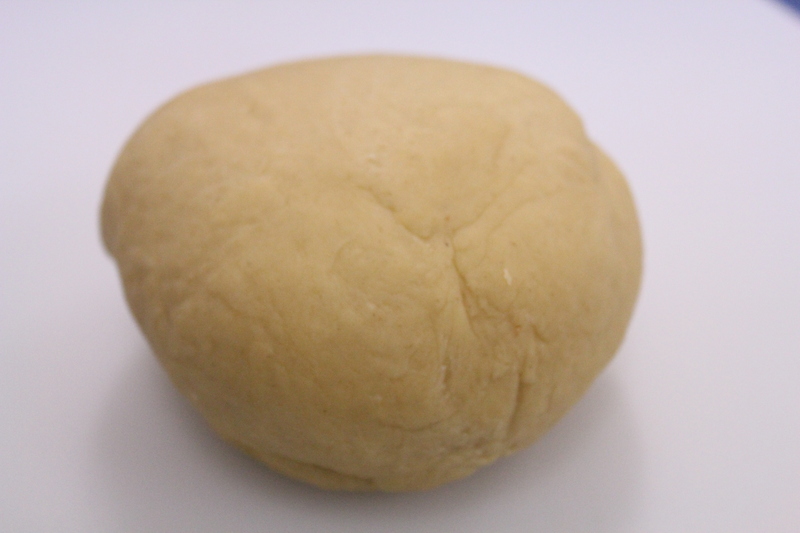 Note: if it is too dry, add drops of water a few at a time to moisten the dough and help it come together. *If spinach is chosen add 100gm or more of flour to the dough. Set up your pasta machine, dust it with a little flour. 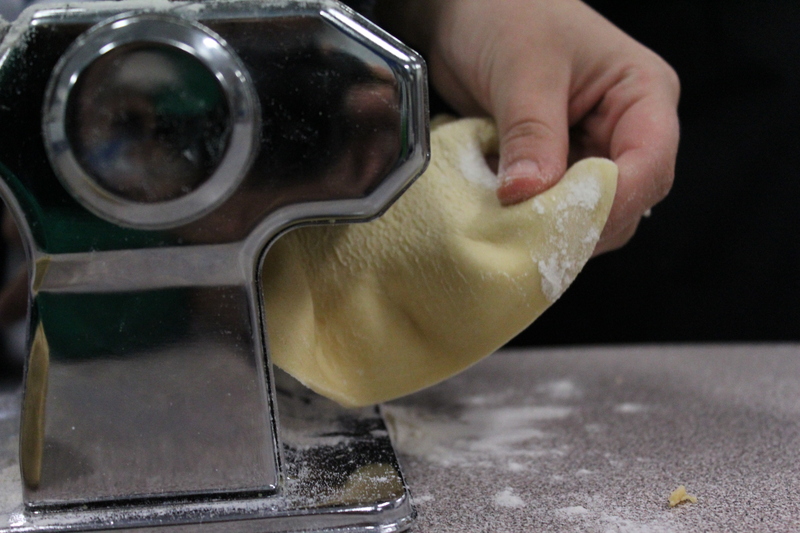 Cut pasta dough into 4 pieces; flatten gently with your hand. Place the pasta machine onto the widest hole, each machine will have a different numbering/measuring system. Turn the handle and feed the pasta through, each piece of pasta dough should be passed through each number 3 times so you get a nice and smooth pasta. If the pasta becomes a little sticky, just sprinkle with a little more flour. After you have passed the dough through the thinnest number 3 times, attach the fettuccini or spaghetti cutter and pass the pasta through once. 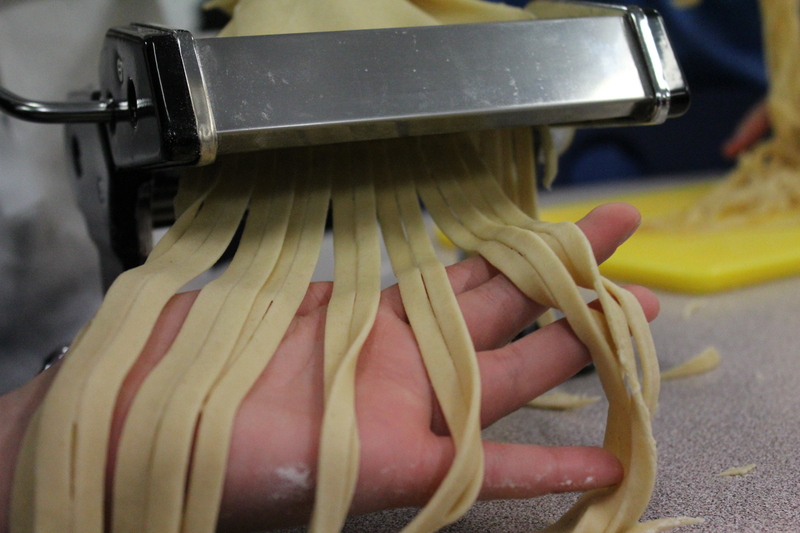 If you could like shorter noodles cut the sheets of pasta to desired length prior to passing through cutter. Boil a large saucepan of water with a pinch of salt, cook pasta of 3 minutes or until ‘al dente’ strain and serve with your favourite sauce.